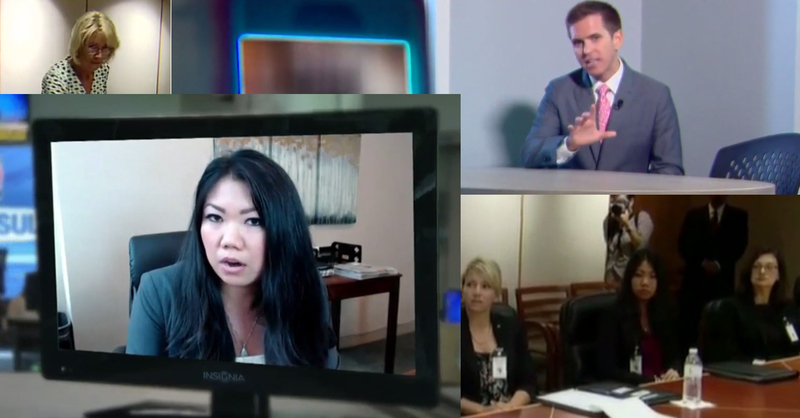 Warshaw Burstein Partner Kimberly C. Lau, Esq., was featured in separate news reports airing on Tuesday’s 11 p.m. broadcasts on WCNC in Charlotte and WKMG in Orlando. Both stories addressed the challenges associated with Title IX tribunals on college campuses. The WKMG report includes video of Ms. Lau’s visit to the Dept. of Education to discuss bringing more transparency, due process and fairness to the department’s Title IX guidance. Click to watch the WKMG and WCNC reports.